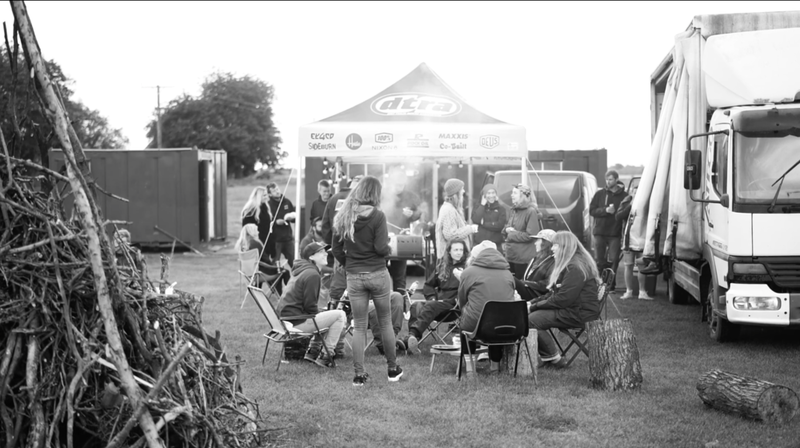 We came, we saw, we rode dirt with some of the UKs best dirt track riders & racers, learned a few MX skills, jumped dirt jumps, camped out , hung out around a bonfire, met old friends & met a few new ones as well, all at the amazing Greenfield Dirt Track facility in Lincolnshire...... This was DIRT CAMP 2018! Started in 2015 by The Dirt Track Rider Association as an initiative to get more women into flat track & ultimately racing in the DTRA series, DIRT CAMP has now grown into a weekend full of everything from complete learners jumping on a bike for the first time, advice & lessons from some of the UKs leading flat track racers (including the Incredible Leah Tokelove) about how to go fast & turn left, MX skills & enduro riding. A massive thanks to all the people who work hard to make this event a real highlight of the summer! From the ,DTRA, Greenfield Dirt track (and all who run this incredible grass roots facility), Leah Tokelove & all the instructors who donate their time & bikes to the cause, and of course the amazing ladies who came along & got dirty with us! Its that time of year again...GREENFIELD DIRT CAMP IS BACK! Last July VCC & VC LONDON were honoured to team up with the DTRA & Greenfield Dirt track in Lincolnshire to host the third ladies Dirt Camp weekender. After we all made some new friends, shared some new skills & came away with huge smiles on our faces, dirt in our hair, a few bruises (and one bust lip) the amazing Tom Bing has come though with this rad video of the weekend to show everyone what Dirt Camp is all about & to spread the word. A big thanks to Anthony, Anna (& all the DTRA crew) , George Pickering, Leah Tokelove & all the Greenfield family for putting on these incredible opportunities to grow the womens motorsport community in the UK. And a massive thank you to Tom Bing & Sally for the amazing video..... When can we do it all over again please?? ?